With world leaders knee-deep in the unfolding crises in the Middle East and Americans eyeing midterm elections at home, newly elected Indian Prime Minister Narendra Modi is using the margins of the U.N. General Assembly to make his first official visit to the United States. Prime Minister Modi will meet with President Barack Obama, Vice President Joe Biden, and U.S. Secretary of State John Kerry. He also delivered a speech to 19,000 people at Madison Square Garden last weekend. It has already been and will continue to be an energetic, carefully watched visit, and though it will contain more symbolism than substance, it is vitally important to the future of Indian-U.S. ties. Critics have expressed concern about a host of issues they believe are holding back the relationship, including India’s close, historic military relationship with Russia; India’s protectionist barriers to foreign investment; and the United States’ cumbersome export-control policies. But progress has been made in all these areas. President Obama and Prime Minister Modi now have the opportunity to silence the echo chamber of skeptics by showing that they will take this partnership to the next level. The two leaders can do this with a long-term, substantive commitment instead of flashy, hollow announcements. Because the national priorities of the United States and India are often in sync, a natural partnership between the two countries seems inevitable. However, given each nation’s history, their approaches to these goals have often taken different—and sometimes opposing—paths. Both leaders are focused on the home front: They are trying to deliver for their citizens, who are worried about the future. The United States is continuing a slow economic recovery, and India is hoping to pull out of a long slump. Both leaders need to promote economic growth that benefits the middle class, provides security, and improves health and well-being, while meeting the growing demands for resources such as water and energy and simultaneously addressing challenges posed by climate change. Each of these areas offers the potential for strong, sustained Indian-U.S. collaboration that delivers for the partnership and for the people. The three areas with the greatest potential for collaboration are climate and energy, defense and global security, and trade and innovation. The United States and India can be partners in building clean energy sources to mitigate dependence on the Middle East and to meet growing energy demand while managing their effects on climate change. India recently dropped an anti-dumping duty of 11 cents to 81 cents per watt on solar panel imports from the United States, China, Taiwan, and Malaysia—a significant step in the right direction to decrease barriers to high-level clean technology for the Indian market. Prime Minister Modi has pledged to bring electricity to 400 million Indians who still lack power by 2019, while improving grid reliability—a key impediment for business in India. In order to do so, he plans to rely heavily on solar technology, which currently accounts for only 1 percent of India’s energy supply, compared to the 60 percent fueled by coal. U.S. and Indian companies—in both public and private sector—can partner to build India’s green energy infrastructure. According to solar consulting firm Bridge to India, solar panel installations covering 0.5 percent of India’s land could generate enough power to meet 1.5 times the country’s current annual demand. This kind of infrastructure could provide a long-term solution for India’s energy shortage and could be scaled up to meet the future demand of the hundreds of millions of new customers. If the United States and India address energy poverty by finding innovative ways to distribute energy beyond India’s shaky grid system, the two nations can cross a significant barrier in economic mobility, improve the health and quality of life for millions, and encourage foreign investment and stronger business ties, particularly from the United States. The fundamentals of defense cooperation between the two countries remain strong. Defense sales between the two countries topped $9 billion over the past six years—an exchange that was nonexistent a decade ago. Additionally, both nations participate in a number of joint exercises, including India’s first full participation in the 2014 Rim of the Pacific Exercise, or RIMPAC, the world’s largest naval exercise involving 23 nations. The challenge, however, is for India and the United States to think more broadly and deeply about defense and security cooperation. India and the United States will continue their partnership through the U.S.-India Defense Trade and Technology Initiative, or DTTI. This initiative will break down bureaucratic restrictions that hinder defense trade and open up possibilities for the two nations to partner on technology production, development, and transfer. The Modi government’s increase of foreign investment caps in the defense sector to 49 percent and Washington’s offers of specific co-production and co-development opportunities show that both sides want to move forward on this front, but more will be needed to make the private-sector investments in India’s defense industry really take off. Most notably, India must reform public-sector defense enterprises by incorporating more private-sector initiatives and relaxing its offset policies to make collaboration and partnership economically worthwhile for more global defense companies. India’s defense sector offers tremendous promise, and the United States is the perfect partner to help India overhaul its outdated military equipment in an economically lucrative way. As important as progress on the DTTI will be, the renewal and expansion of the 2005 New Framework for the U.S.-India Defense Relationship, which technically expires in 2015, is critical. The 2005 framework created a regular series of forums to discuss key issues of defense trade and procurement, joint military exercises, and critical threats and collaboration on disaster relief. These forums reported directly to the Defense Policy Group, whose recommendations supported the overall U.S.-India defense partnership. The 2005 framework could simply be renewed, but it will be far better to expand it to reflect a new baseline from which to make progress. When it was signed, the United States and India had almost no defense relationship, but now the United States is India’s largest defense supplier and most frequent partner in defense exercises. An updated framework should build from this new normal and formalize recent innovations, including the DTTI. It should streamline the bilateral defense cooperation structure, commit the United States and India to more trilateral and multilateral defense cooperation, and broaden the areas of cooperation to include emerging threats in areas such as cybersecurity, migration and instability driven by climate change, and international commitments to the freedom of navigation and maritime security. A glance at the agenda for Prime Minister Modi’s U.S. trip leaves no question that he is a pragmatic pro-business leader placing top priority on economic reforms and spurring job growth. 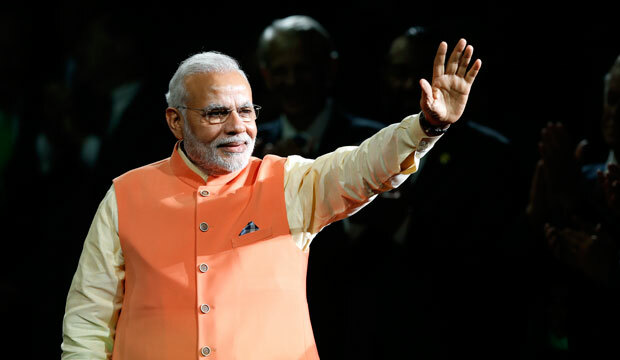 Modi has set high expectations to revitalize the Indian economy, and much of his agenda depends on India opening its doors to greater trade and foreign investment. India’s historic economic growth in the early 1990s—the last time the nation formalized economic reforms—was unprecedented, with gross domestic product, or GDP, growth increasing from 1.1 percent in 1991 to 7.5 percent in 1996. Despite the country’s economic downturn in the past few years, the United States and India’s economic relationship remains strong. Over the past decade, a number of Indian companies—such as Tata Group, which employs approximately 19,000 Americans—have invested billions of dollars in the U.S. high-tech, pharmaceutical, and manufacturing sectors, totaling $5.2 billion in 2012. Deloitte reports that India will have the world’s third-largest middle-class consumer market, behind China and the United States, by 2020. Global companies recognize this opportunity and the depth of this market. As Prime Minister Modi sets policies to bring millions of Indians into the middle class through next-generation technologies and innovation, U.S. companies can capitalize on this opportunity. In September, for example, Google announced the launch of Android One in India, a test case for delivering high-quality, low-cost phones to a country with more than 900 million cell-phone users. The United States can also learn low-cost technology production by looking at India’s maiden Mars orbiter, which made India the first Asian country to reach Mars and the only country to make the journey on the first try. With a price tag of $74 million, India’s Mars mission cost a fraction of NASA’s most recent $671 million Mars orbiter, which reached Mars three days before the Indian spacecraft. The United States and India should cooperate on data collection and research as their two spacecraft cross paths in orbit around Mars and should look toward greater cooperation on space exploration in the coming years, including on manned spaceflight. There are plenty of difficult issues for President Obama and Prime Minister Modi to address in the U.S.-India relationship: the U.S. immigration reform agenda and the spillover effect on H1-B visa provisions that frustrate American firms and Indian high-tech workers; the stalled civil nuclear deal; the food security issues that have India holding up progress at the World Trade Organization; and U.S. concerns about India’s commitment to intellectual property rights, to name just a few. Skeptics look at these potential roadblocks and suggest the Indian-U.S. relationship will continue to underwhelm. Prime Minister Modi and President Obama can rise above these issues, which are the kind of disputes that mark many bilateral relationships. Instead, they should chart a long-term vision by focusing on how they each plan to deliver economic prosperity, ensure civil liberties, and maintain sound security for their own people—and how their close collaboration can help meet those goals. Aarthi Gunasekaran is a Research Assistant with the National Security and International Policy team at the Center for American Progress. Vikram Singh is the Vice President for National Security and International Policy at the Center.